I can once again hear the birds chirping like crazy in the morning. I'm so happy to hear that sound! 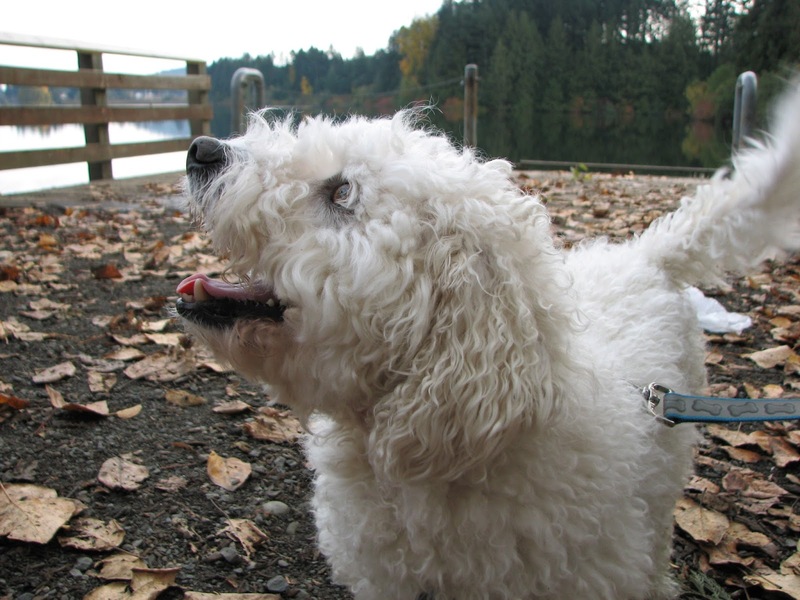 Despite the rain and gloom we've had this week, spring must be on its way! 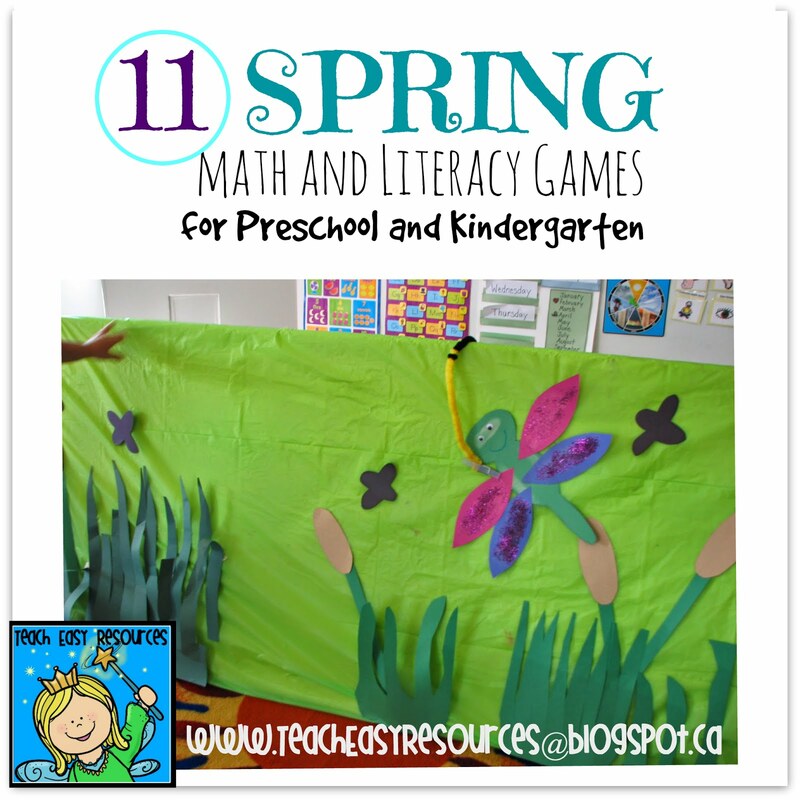 So this weekend I pulled out my favourite Spring songs and activities to get ready! One of my favourite go-to songs for spring is my Baking a Pie song. My daughter filmed me performing this song a summer or two ago. It actually took about 5 tries to get a version that was acceptable to post. Between the dog barking, the dog begging me to throw his ball, the dog running into the picture...let's just say it was a bit more challenging than expected! This song has been a big hit in my classroom. 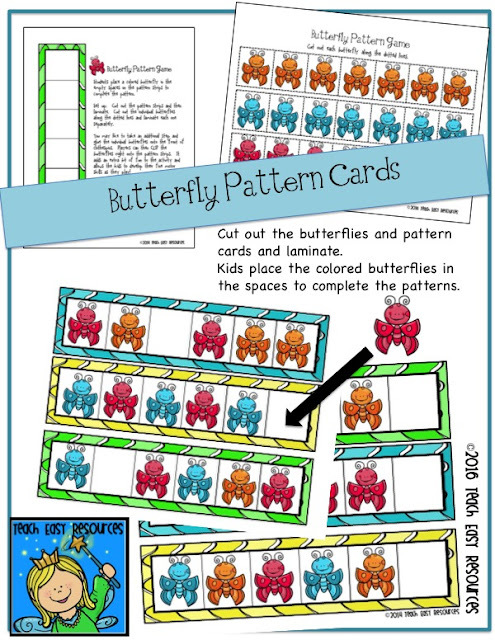 It's unique, has a quirky ending, and the kids can learn it quickly due to the repetition. 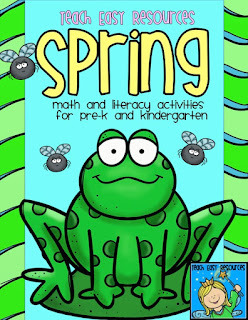 Centre Time and Circle Time. Below is a sample of four more of the 11 items in the unit. The details of how each item works is written on the images. 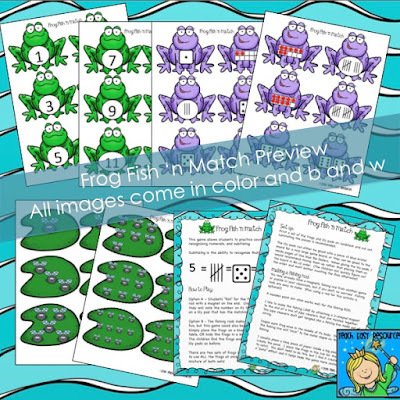 And my Froggy Fish 'n Match Number Game! You could set up this fishing game on a table on days when you want to keep life simple, but if you want to add another element of fun, on some days you could also create a little "fishing hole" as you'll see in the post HERE. If you're in a part of the world where spring hasn't hit yet, just hang on. It's comin'! 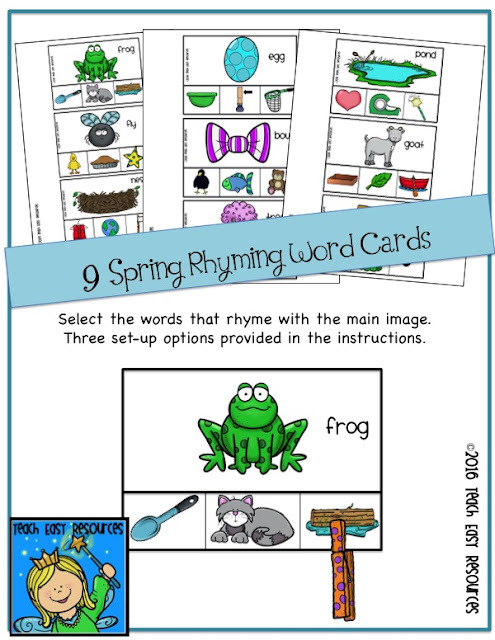 And if you want some more fun activities for the season, check out my full Spring Unit for Pre-K and K in my shop! 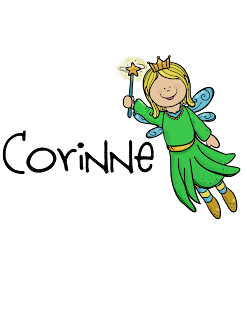 It includes the 5 activities shown in this post plus 6 more! 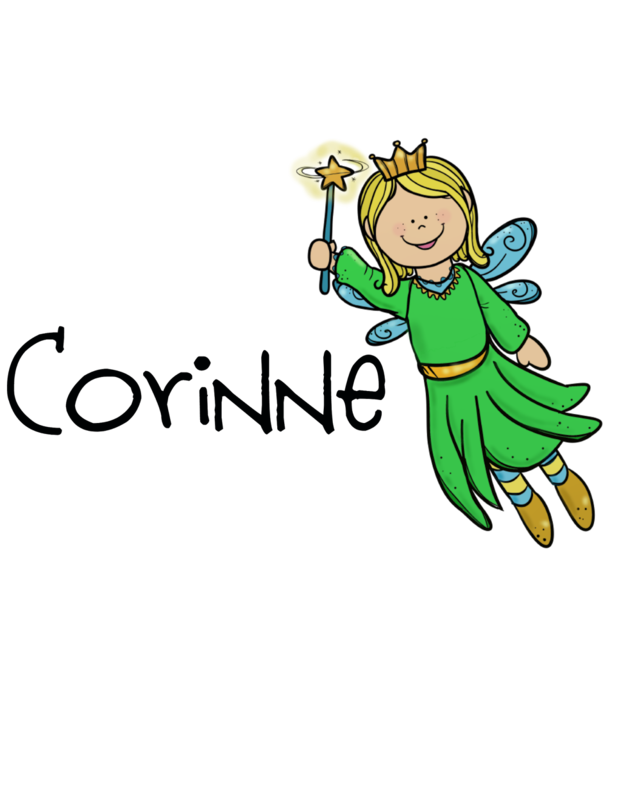 click on the Subscribe button on the right margin of this blog! 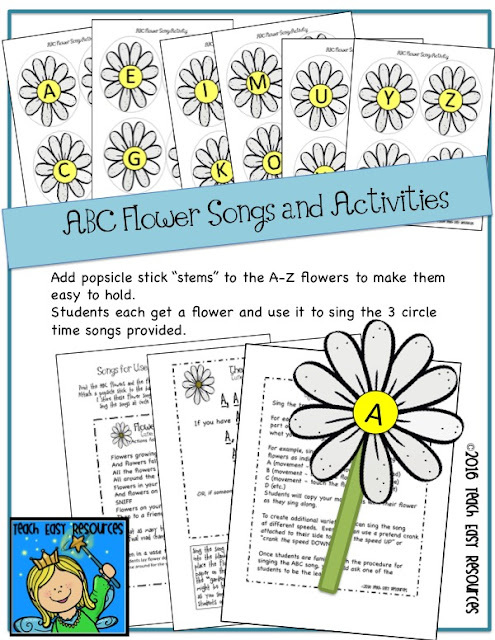 Thanks a ton for sharing these spring songs and activity ideas for preschool and kindergarten. I am so pleased to have these ideas. 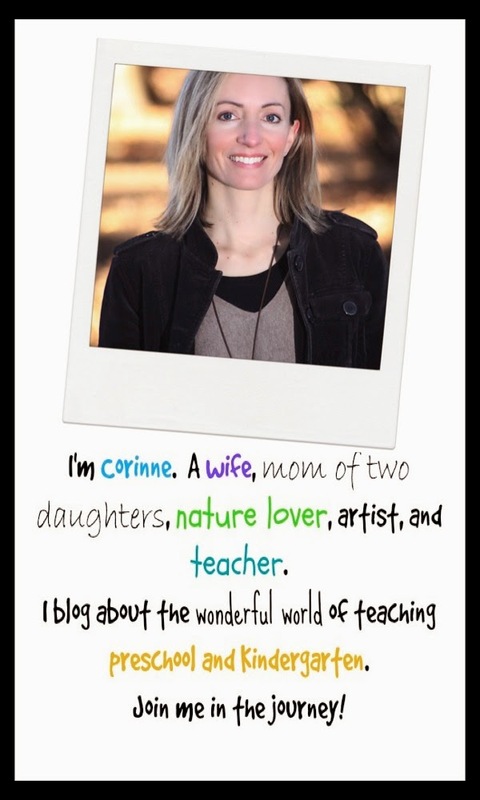 I am a teacher at Phoenix pre-k and I collect such ideas from internet to use in class. My students just love doing all these activities that I organize for them.